Playground Unload, a set on Flickr. 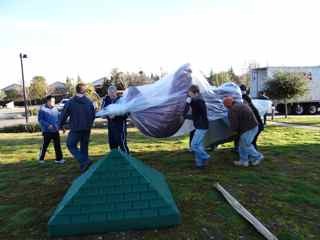 The Playground arrived today and a group of about 20-25 people helped get it all off the truck. Installation is happening now!! !